On 6 June 1944 British, American, Canadian and French troops landed in Normandy by air and sea. This was one of the key moments of the Second World War, a long-anticipated invasion which would, ultimately, lead to the defeat of Nazi Germany. By the day's end a lodgment had been effected and Operation OVERLORD was being hailed as a success. In reality the assault had produced mixed results and at certain points along the French coastline the position was still far from certain. The key Allied objectives had also not been captured during the first day of the fighting and this failure would have long-term consequences. Of the priority targets, the city of Caen was a vital logistical hub with its road and rail networks plus it would also act as a critical axis for launching the anticipated follow-on attacks against the German defenders. As a result an entire brigade of British troops was tasked with attempting its capture but their advance culminated a few miles short. This new book examines this significant element of the wider D-Day operation and provides a narrative account of the operations conducted by 3 British Infantry Division. 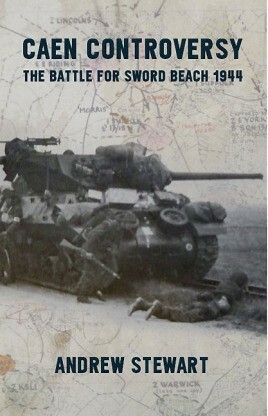 It examines in some detail the planning, preparation and the landings that were made on the beaches of Sword sector. To do this it considers the previously published material and also draws upon archival sources many of which have been previously overlooked to identify key factors behind the failure to capture the city. Its publication coincides with the 70th anniversary of the Allied liberation of France.